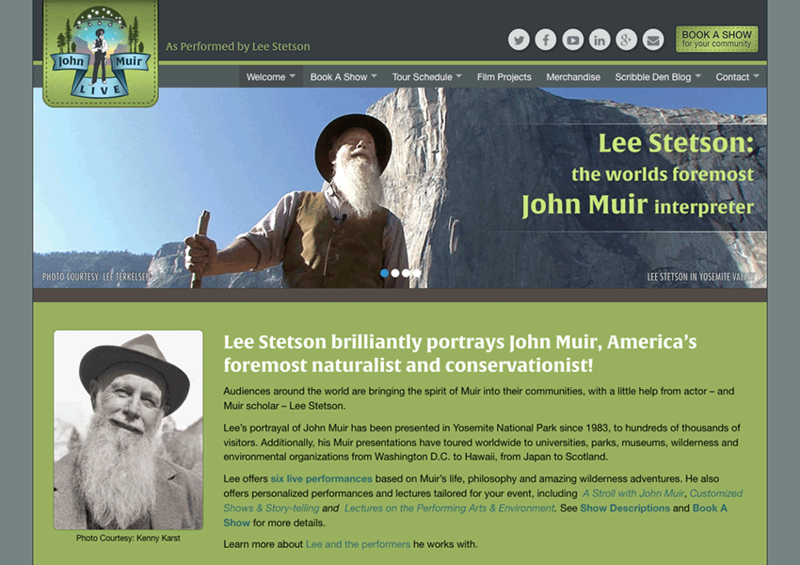 JohnMuirLive.com is a promotional website for Lee Stetson, a performer who among other things portrays John Muir, perhaps most notably in Ken Burns’ acclaimed series The National Parks – America’s Best Idea. The fantastic clean design for this site is by Paris Nattboy of Mud Pie Creative, who I’ve had the pleasure of working with for several years. My own work on this site has been mostly with the development and coding.